The short-sleeved peasant shirt is made of red cotton and has elastic in the sleeves and neckline. The length is approx. 32” or hip-length. The skirt is made of red cotton. The skirt has an elastic waist and will come hemmed at 28” (approx. mid-calf on someone of average height) unless a specific shorter length is requested. 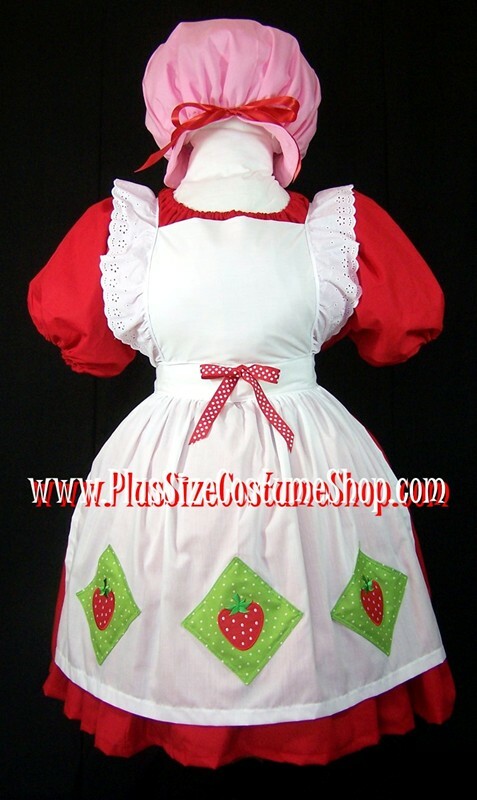 The apron is made of white cotton and has eyelet ruffle sleeves. The apron fits over the head, tucks into the back of the skirt and then ties around the waist in a bow. 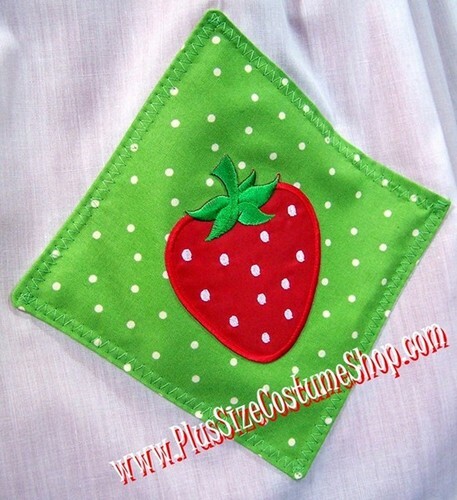 The apron features three green polka-dot diamond patches with strawberries and a cute little red polka-dot bow. 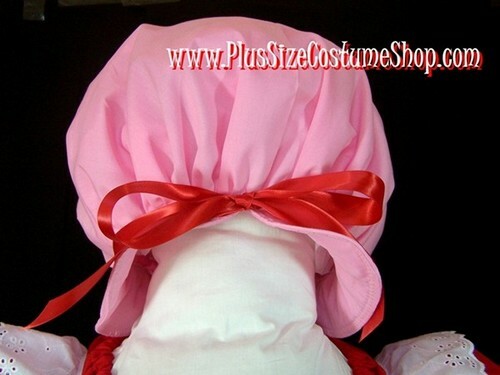 Also included is a solid pink cotton puff hat. The hat is interlined for body and will also feature a red ribbon around the brim.